If you haven’t made an entry in your gratitude journal today, here’s a freebie: We are lucky to live in a remarkably arts-infused community. Did you hear about the Harmonic Labs City Synth project that partnered with high school robotics students to transform the cityscape of Eugene into a symphony for a First Friday Artwalk installation? How about the collaboration between Broadway Commerce Center and local artists to make arts events possible in downtown Eugene? These are just two examples of the numerous ways in which nonprofits, for-profits, artists and educators are collaborating in our community to drive economic growth, spark creative thinking, educate, and make Eugene an attractive place to live and work. Throughout human history, we’ve engaged with the arts to tell our stories, better understand one another and improve our overall quality of life. But many people are given few opportunities to engage in this core aspect of human life during the typical eight-hour workday. According to the 2016 Adobe State of Create study, 77 percent of global respondents reported that they feel more pressure to be productive rather than creative at work. 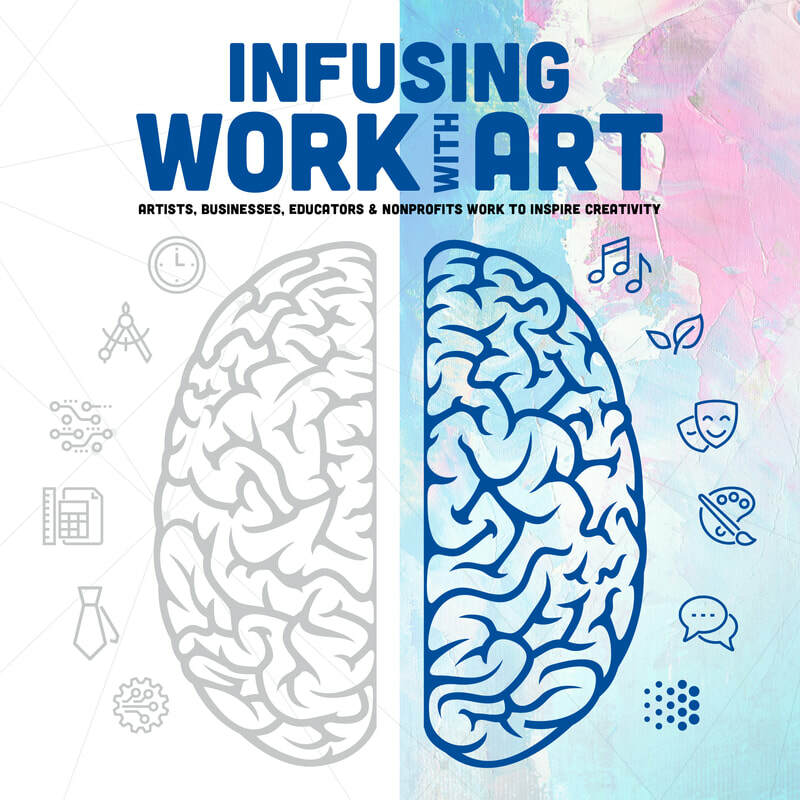 Creating opportunities for employees to engage with the arts and tap into their creativity can radically improve workplace culture and employee satisfaction, while boosting innovation and productivity. Also, in the Adobe study previously mentioned, people who described themselves as creators were more likely to also describe themselves as happy, innovative, confident and problem-solvers. John Barry, executive director of Arts & Business Alliance of Eugene (ABAE), believes that art and culture are major factors in attracting and retaining quality employees. “Art is about enriching our lives,” says Barry. “I think that businesses that invest in the arts and make the arts available to their employees are creating a culture that leads to more productive employees." Not only do the arts enrich our community, they are an important economic sector in their own right. Arts & Economic Prosperity® 5, a national study that measures the economic impact of nonprofit arts and cultural organizations, found that art in Eugene contributed $62 million and accounted for 2,400 jobs in 2015. Craig Wiroll, Gigabit portfolio manager for the Mozilla Gigabit Community Fund, also perceives arts integration and cross-sector collaboration to be vital in the future. “Right now is the time to pivot towards inclusivity of all perspectives and take best practices from all sectors into your organization, if you want to grow. New generations are requiring businesses to blur the lines between "for profit" and "for social benefit." Arts education is making a big comeback in the development of our future workforce. “Art is a part of what makes someone a complete, valuable employee,” says Eric Braman, the arts education program coordinator for Lane Arts Council. One area where this shift is evident is in the movement to upgrade STEM — the widely-used acronym for science, technology, engineering and math — to STEAM with an added “A” for art. 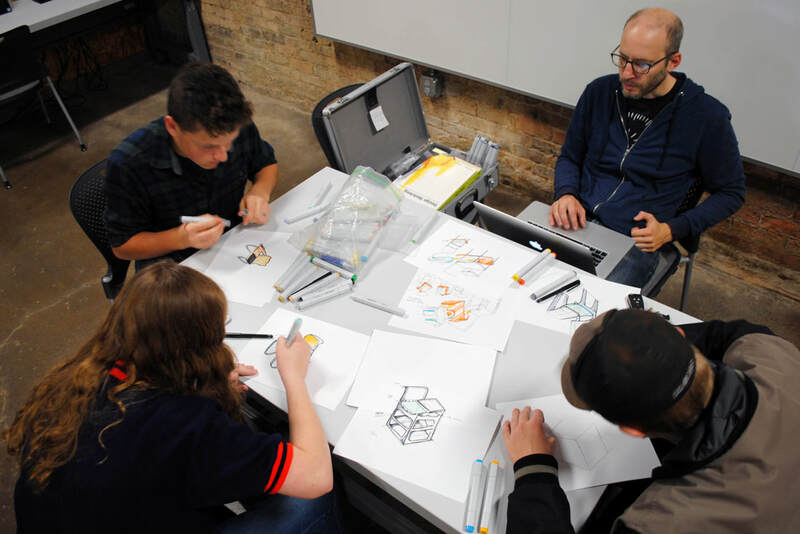 Today’s students are being trained to integrate arts into nearly every subject, even in areas where the role of art hasn’t always been recognized. STEM subjects and careers “become so much richer and compelling and inclusive when you integrate art,” says Craig Wiroll of the Mozilla Gigabit Community Fund, which has funded numerous STEAM-powered projects in Eugene, including Gigabit Artist Residencies, an initiative with Lane Arts Council to bring working artists into schools and teach digital storytelling. “People often think of classic technology and programming as a blinking green dot on a black screen and that really doesn't get young people engaged. It can be, and is, much more than that. Sometimes, it is hard to see what is possible with binary code, because the world we live in isn't binary." Businesses can participate in First Friday ArtWalk by becoming a venue, sponsoring or helping to sponsor or organize a special event. These free events provide community members with an opportunity to hear from influential artists, designers and arts leaders. These seminars co-led by representatives from the arts and business sectors help participants address common business challenges through the application of artistic practices or by engaging with the arts. Arts organizations, artists and commercial businesses working with the arts in Eugene can qualify for low-cost, quick-turnaround loans to establish new projects, improve infrastructure or finance special projects. Organizations working on projects that utilize next-generation technologies and high-speed, low-latency to impact education or workforce development may be eligible for a Gigabit grant. These global and local events facilitate collaboration and conversation.